With the rising cost of living on top of the increase in tuition fees, affording higher education is harder than ever. It can be incredibly stressful trying to make ends meet financially as well as keeping up with your studies. From food to transport to textbooks, it all adds up. Not to mention the costs of accommodation and the pressure to join in on sometimes excessive student nightlife. So how do you manage all of it? Firstly, make sure to sort out your student loans from Student Finance England. They should be covering your tuition fees and supplying a maintenance loan to help with studying and living costs. However, the amount you are entitled to might not be enough to cover your expenses. This is why is it is important to manage your student finance carefully. Read this guide for helpful tips. Many banks offer current accounts specifically for students. These often come with some extra benefits to get students’ attention, but the most important thing to consider is the overdraft. This will help you out if you ever go over-budget in an emergency situation. Undergraduate students can usually get an interest-free overdraft, so they don’t have to pay more if they ever have to use it. However, you should never go over your overdraft limit. You will also need to keep on top of paying off the overdraft. This is why you should look for the longest and biggest 0% overdraft on student bank accounts and ignore the lure of free gifts. If possible, make sure that there is a physical branch of the bank within travelling distance. You should steer clear of credit cards and never use payday lenders. The top recommended student bank accounts are Santander 123 Student and Nationwide FlexStudent. You can also apply for other student bank accounts with HSBC, NatWest, Lloyds Bank, Halifax, Barclays, or Royal Bank of Scotland. These lower-rated accounts come with more attractive freebies, but be aware that they also have smaller overdrafts. 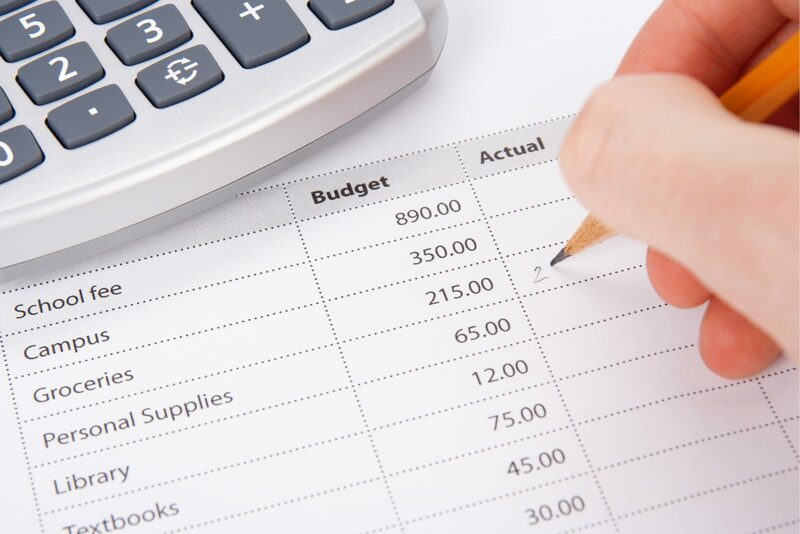 The most crucial aspect of managing money is creating a budget and sticking to it. If you are living away from your family home for university, rent will be the major financial concern. If your rent doesn’t include utilities and internet, these will be further expenses. You may also have to pay your own phone bill or the BBC television licence. Before you get too overwhelmed, start by calculating your total monthly income. This will include your maintenance loan, any earnings from a job, extra financial support from the government, and gift money from family or friends. Next, you need to add up all your total monthly outgoings. This should include rent and bills, food and drink, travel, and course materials. Your aim is to make sure that your income is always greater than your outgoings. There should be enough of a margin for you to have savings for occasional extras or emergencies. Plan how much you will be spending each month and when – always keep track of the dates when you are paid and dates when bills are due. If your outgoings are too high, you need to reduce your spending. Look for ways to socialize for free or cheap, buy your textbooks secondhand, and shop for non-branded food and household supplies to save money. You could also try to increase your income by getting a job if you don’t work, getting more hours if you do, or selling old possessions. One of the biggest benefits of being a student is the student-exclusive discounts. These can be an enormous help when it comes to budgeting your student finance. You should be setting yourself spending limits to make sure that you are covering the necessities of daily living. But budgeting doesn’t mean you have to deny yourself things like clothes or media services. When you sign up to services like UNiDAYS and Student Beans with your university e-mail address, you can access a range of exclusive discounts from all kinds of retailers. These cover food, fashion and beauty, health and fitness, technology, and lifestyle. You can get your stationery, groceries, gym membership, laptop, and homewares for less, which will reduce the strain on your budget. You might have heard of the NUS Extra Card, which recently became the TOTUM Card. For a small membership fee, you can access even more discounts for up to 3 years. You can also save on public transport with local service discounts or the 16-25 or 26-30 Railcard. If you need to buy something or go out for an event, check for any student discounts in advance. Remember that just because you can get a discount on something doesn’t mean you need to buy it! Always ask yourself if the purchase is necessary and how it will affect your overall budget. When you go out with friends, stick to places with discounts. Depending on the amount you receive for your maintenance loan, and how much financial support you get from family, you might be able to cover your costs without getting a job. However, this is not likely for many students. Getting a part-time job which fits around your course can help you to top up your income. It also helps you to gain experience of working life, which you’ll be able to rely on when you finish university. Even if your part-time job isn’t relevant to your degree, you will be learning useful transferable skills. The downside of having a job is that it cuts into your studying time and can also cause more stress. That is why it is essential to achieve a balance between work and school. You should also balance these obligations with your personal and home life. You need to have some socialization and relaxation time set aside each week for the good of your mental and physical health. Time management is just as important as money management. Working too many hours leads to stress and exhaustion. It is advisable not to work more than 15 hours a week while you are a full-time student. You don’t need to worry if the only jobs you can get right now aren’t on the career ladder you’re looking for. Just make sure that your work hours fit around your course timetable and they at least pay minimum wage. Save some holidays for exam and essay dates. There is no shame in asking for help if you are struggling. If you end up in debt or you are barely scraping by and it is taking a toll on your wellbeing, you should speak to someone about it as soon as possible. The longer you leave it to seek out support, the worse things are likely to get. If you share your accommodation, make sure that you are all splitting the bills fairly and appropriately. If you are solely responsible for your financial situation and things are getting on top of you, you might feel alone but not want to bother your family or friends. Most universities will have a student support centre which can offer non-judgemental guidance. Visit your Student Union if you aren’t sure how to make an appointment with them or where you need to go. You can also look online to find the contact details for the National Association of Student Money Advisers at your institution. They will be able to help you and figure out if you are getting all of the financial support that you are actually entitled to. You may be able to get extra funding or benefits from your university or the government. There are further allowances for students who have low incomes, disabilities, health conditions, or child or adult dependants. Whatever your circumstances, help should be available. Private counselling can be expensive, which won’t help with financial stress. If you experience severe problems with your mental health, see your GP to discuss your options. Therapy on the NHS has long waiting lists and medication can also be costly, but your health is important. In the meantime, look for help on your university campus and online. 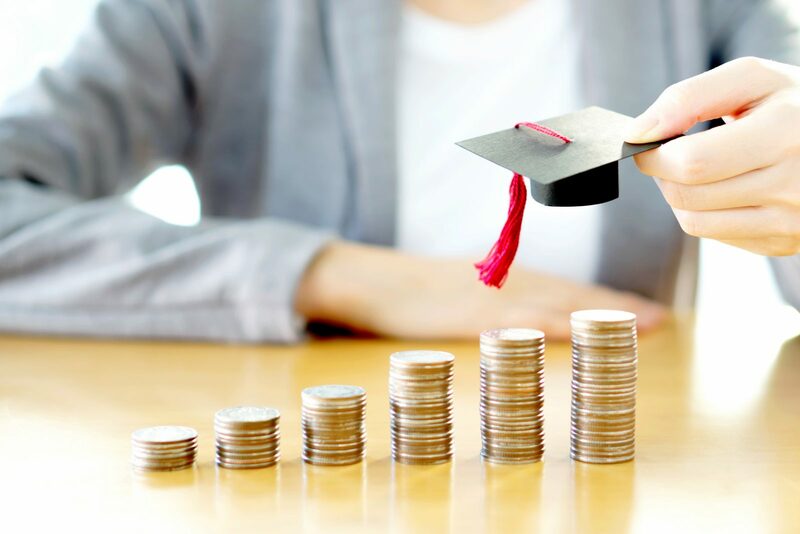 After several years of student loans and budgeting your life around your course, leaving university can be a shock to your money management system. You need to decide what you plan to do next in advance of the end of your final year of study. If you are staying in higher education as a postgraduate student, your situation will be different. You can now get a Master’s Loan to cover up to £10,609 of course fees. Depending on the cost of your course, you might have to fund some of it yourself, as well as supporting yourself financially to cover your living costs. With the Master’s Loan, you will receive the money for your tuition fees, and it is your responsibility to pay your institution on time. This creates extra responsibility for you, so keep track of the relevant payment dates. You should only take a gap year to go travelling if you have budgeted in advance and know that you can afford to do this. You might decide to move into full-time work, so apply for graduate schemes in your chosen field. Internships may be available if this is a viable option for you. One of the most significant changes is moving out of your accommodation and finding somewhere new to live, whether in the same city, your hometown, or somewhere new. You’ll have a lot to consider. Outstanding bills – Have you paid off your final rent, utility, phone and internet bills? If you paid your landlord a deposit, have you claimed this back? Have you paid off the overdraft in your student bank account? Student banking – Once you graduate, your student bank account will switch to a graduate account. Usually, your bank will reduce your overdraft and start to charge you interest on it. Clear your overdraft as soon as possible and avoid going over your reduced limit. Check your credit rating and make sure that you have a good score. Changing address – Are you moving back into your family’s home to allow you to build up savings? Can you find a secure, suitable, and affordable place to live independently, maybe close enough to your new area of work or study that you won’t need a car? Have you updated your bank and service providers with your new address? Are you on the electoral register for your local authority and registered with a local GP if you have moved to a new place? Working – Do you want to jump straight onto the career ladder in your chosen field of work? Are there programmes for graduates at relevant companies that you could apply for? If you are in employment, are you being paid enough and are you on the correct tax code? Are there any self-employment opportunities you could pursue? New budget – Change can be stressful, but your living conditions are going to be different post-student life. This means re-budgeting and adjusting your previous spending habits to your new living situation. It is likely that you will now have to pay Income Tax and Council Tax, which will cut into your budget. You will have new travel costs and living costs to factor in, plus student loan repayments if you are already earning above the threshold for these. Debt and Savings – Do you need to borrow money to help you get by? Are you able to get financial support from your family, or are you entitled to any benefits? Try to avoid taking out further loans or credit cards unless it is absolutely necessary. Seek advice if you get into arrears or serious debt and you need help to get back on track financially. If you can, set aside a small chunk of your monthly earnings to move into a savings account. Set a savings goal so you can build up an emergency fund and then start saving towards things like a holiday or a new car. Travelling – If you didn’t take a gap year before your degree, it might be tempting to take some out for yourself after completing it. However, you should only go travelling if you have the savings to fund your planned trips. You need to consider costs such as travel insurance, visas, and vaccinations as well, depending on the destinations and activities. You must inform the Student Loans Company if you will be overseas for longer than 3 months.